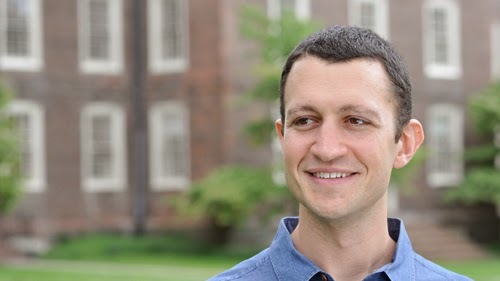 David Flink is the founder and CEO of Eye-to-Eye National, a mentoring program that connects kids with learning disabilities and ADHD with older LD students. 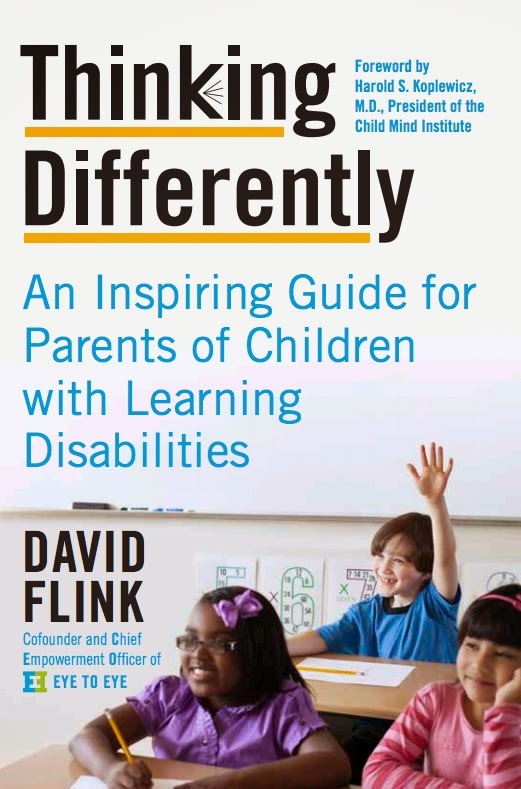 David recently published his first book, Thinking Differently, which tells, among many others, his story of growing up with ADHD and dyslexia. It's written as a guide for parents to understand kids with learning and attention issues. Author David Flink, who is dyslexic and has ADHD. It also speaks to kids directly, relaying stories from members of the LD community that offer a roadmap to success while making no bones about the hard work it takes to get there. David and I both have learning disabilities and ADHD and we sat down to talk about how it felt to write, and read, a book about ourselves. Rae Jacobson: First off, I have to say I loved the book. As a person with an LD and ADHD, reading it felt so familiar—I found so many places where I could relate to the stories you relay because they are essentially my story, too. David Flink: Our community holds so many amazing stories. I started with mine because I knew it best, but the book is many stories intertwining and forming a common bond on learning differences. In 1998, when I started mentoring, I started telling my story. But the other side of it was that people started telling me theirs. I found that if I offered just a little bit of my experience—I didn't even have to say much—I'd get this access to the most personal and profound moments in people's lives. Rae: The book rose out of all the things you heard along the way. David: Over the years, as I listened to people, I started seeing common strands and themes—some traumatic, some wonderful, most of them both—and it led to me to wonder, what were the collective stories that led to success? I think many of the books that have come out focus only on the negative parts of having a learning disability, and so often they miss the good part. I have access to this whole generation of young people who have succeeded in school and I wanted to kind of explore how and why they succeeded. Rae: There are so many things that focus on what we can't do, it was refreshing and comforting to read something that focuses not only on what we can do, but on how to maximize the potential for success by creating an environment that works with how you learn. David: The funniest headline I got was on a newspaper story was "Learning disabled CEO Writes Book of Advice." Rae: He seems to be writing a book! Isn't that adorable? David: So, yeah, some of the questions have clearly been laced with surprise: "Oh! You have dyslexia and you wrote a book?!" Like that's miraculous. But the miraculous thing is not that I am a dyslexic person who wrote a book, it's that people are surprised that I can have dyslexia and write a book. Rae: To me what you do both in the book and at Eye to Eye is invite mutuality. You're not saying "Sit down and let me tell you about myself." You're saying, "This is me, and I'm okay with me." And just showing that means that somebody else can feel comfortable enough to say, "Me too." David: A good example—this just happened last week—is a father I met at our Eye-to-Eye summer camp for our mentees. He said, "You know, my daughter had a great experience, but it was really profound for me, too." He went on to tell me that he had ADHD and had been struggling with it for 40 years. He went to a top-tier university, but he didn't understand that he had ADHD, and ended up graduating late—even though he was at the top of his class. This was indicative of his whole career—he'd get a job, because he was super-qualified, and then he'd fail at the job because of his ADHD, and he didn't understand why. He didn't understand how he learned. And then slowly over time he started to figure it out and turn things around in his life. But he had to wait like 40 years of his life to figure that out, and now his daughter isn't going to have to do that. Those kinds of stories always find me. David: I was like a book monk. And so, so I did all the things that I thought I needed to do to be successful, and then I had this freak-out because I didn't have a blueprint to follow. And the night before I officially went on sabbatical, I couldn't sleep, I turned to my wife Laura and I said, "You know, I don't think I can do this." She said, "Why don't you think you can do this?" And I said, "Well, I've never done this before." She said, "This is exactly what life is." She said, "You just try. And then if it doesn't work, you look at why it doesn't work and you put in accommodations as needed, the same way that if you tried spelling something and couldn't spell it, you'd use spell check." Rae: This is something I think is really comforting for a lot of learning disabled people, because freaking out is sort of penalized in a lot of the world. Right? But you're saying it's okay to have a freak-out as long as in the end you're finding something positive from it. David: Right. It was just part of the journey. I don't think I could have done it without the freak-out. Rae: I don't know how anybody does anything without a freak-out. You've been doing this work for so long and now the book is out. How does it feel to see what you've started expanding out into the community? David: It's thrilling because I kind of got into this because I felt very alone. I didn't know how many of us there really are growing up, I didn't think I knew anyone and I'm reading in this textbook here that we represent every fifth person. Rae: It's true. Growing up with an LD I always felt like an anomaly, but as an adult I know how many of us there really are and it makes me feel like I've come in from the cold. There's a shorthand between people who are in our community. Rae: You don't have to explain yourself or be embarrassed. Like the fact that I forgot to charge my phone before I got here, and the voice recorder is on my phone. If I wasn't interviewing someone with ADHD I would be humiliated by that. David: Yeah. And the reason why I had a charger here you could use is that I have them everywhere, because I just know I'll lose them. Rae: So let's put things in places that they need to be. David: Looking around you, you don't know who has an LD. At Eye to Eye we literally wear our LD's on our sleeves—we have T-shirts! We want to make sure people know where to find us. We're here in a public, prideful way. We're out there saying, "Get seen!" "Get heard!" The last chapter is a call to action. If we want to change the world, we have to work together. If you succeed and don't pass it on then we don't advance. My hope is that this will be a one-generation issue—that in ten years we'll have rebranded LD's so well that that term will be a compliment, a way of saying "this person sees the world in a unique way." It hasn't been an easy journey for me to say, "I'm loud and I'm proud." But what I'm now saying is, "Go be louder and prouder."